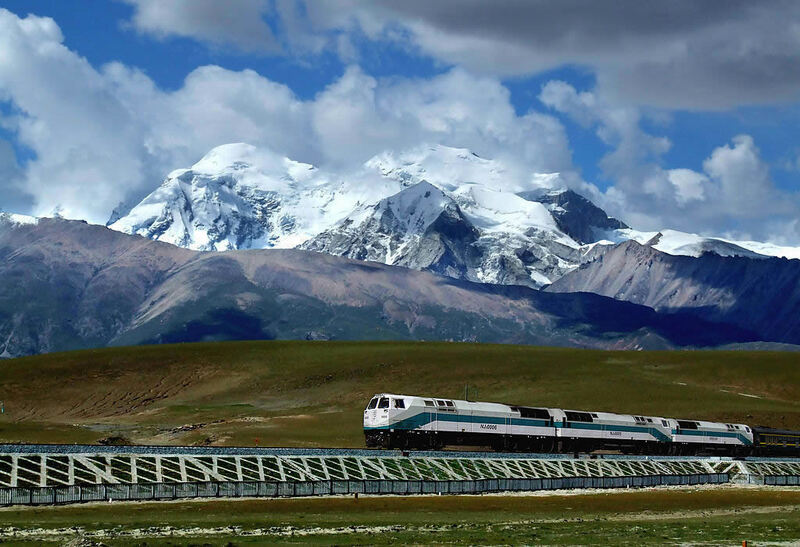 (TibetanReview.net, Jul 11, 2014) – China said Jul 10 that an extension of its strategic Qinghai-Tibet Railway, the Lhasa-Shigatse railway, will open to traffic next month. The construction was completed in March this year, although China’s official media did not report this fact until now, and only very briefly. China’s online Tibet news service eng.tibet.cn, citing Chinatibetnews.com, said Jul 10 that the 253.1-km railway was completed in four years. Nearly half the railway line, or 45.7 percent of the 115.7-km railway, passes through tunnels, the report added.